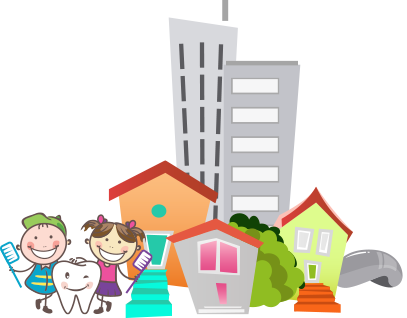 Tooth Buds Pediatric Dentistry in Chicago is dedicated to providing the highest quality care for your child’s teeth. Your child’s response to their dental experiences can make a lasting impression – a positive experience will help your child feel confident when visiting a dentist. Some children may be unable, because of fear or inability, to cope with dental treatments, or may make uncontrolled movements that could cause injury to the child. Others may develop such a fear that they will have trouble cooperating during future visits or even refuse treatment. These children may be more comfortable and safe with sedation. Nitrous oxide. Also known as laughing gas, nitrous oxide is a very safe sedative that allows a mildly nervous child to become calm but still awake and able to talk to the dentist. A mask is placed over the child’s nose, and as they breathe through their nose, the child relaxes. The effects wear off very quickly over a five minute period while the child is breathing oxygen to displace the nitrous gas. Oral conscious sedation. If a child’s anxiety level cannot be soothed with nitrous oxide or the treatment needs are too extensive, oral conscious sedation may be helpful. Conscious sedation will cause the child to be drowsy and more cooperative. Several different conscious sedation medications are available based on the needs of the treatment. Side effects may include nausea and vomiting, which can be minimized by following specific eating and drinking directions before and after sedation. The child will be very drowsy after the procedure and must be monitored by an adult for the remainder of the day. As your Pediatric Dentist in Chicago, we want to make sure your child is as comfortable as possible. Give us a call today at (773) 328-8282.